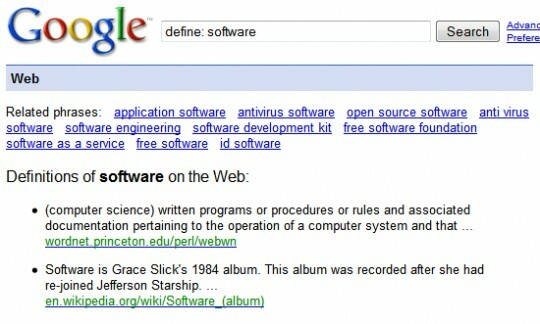 Google is widely known as the Internet’s best search engine. Everybody with access to the internet uses Google at some point to find something (or many things) on the web for a particular web page, or a certain piece of information. However, Google has several built in functions that will help you make your searches more successful, and to enable you to spend less time searching. I have written a post about some tricks that will help you with your image search and that will ‘give you the power’ to Find Images by Exact Dimensions, File Type or From Specific Website. That should make your search for new wallpapers that perfectly fit to your screen resolution as easy as walk in a park. But today I’ve decided to expand that post and to tell you about a list of 5 functions that you did not know before (I think), all accessible from the main Google search box (frontpage), which will help youfind every piece of information you are looking for. Ever searched for something before, and had a whole list of completely irrelevant web pages come up? This is annoying at the best of times, as it takes time to check and read through the list of sites and find the one you actually want. 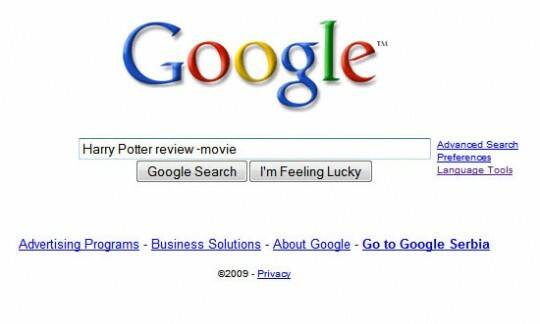 For example, if you were looking for a review of the book “Harry Potter” (whatever part of it), and you typed into Google “Harry Potter review”, many of the links listed are reviews of the movie, not the book. Because you are not looking for a review of the movie, you can remove all pages related to the movie by adding “-movie” to the end of your search terms. This will now display all the pages relevant to “Harry Potter review“, but not relevant to ” Harry Potter movie”. 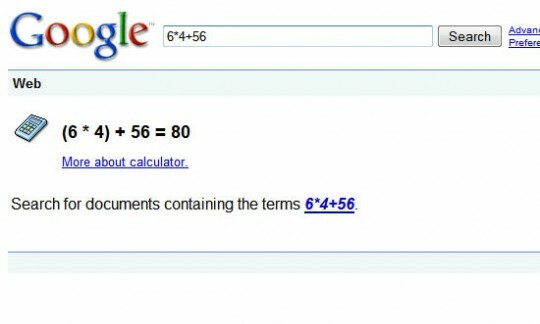 + is used to add terms, – to subtract terms, * to multiply terms, and / to divide terms. Besides these basic operators, you can use ^ to work out something to the power of something (for example, “2^4” would be 2 to the power of 4), and “sqrt“ (without quotation marks) to calculate the square root of a number (for example, “sqrt 4” would be the square root of 4). If you type “site:” and then a website after a search term, Google will search for your term(s) in only the site dictated. 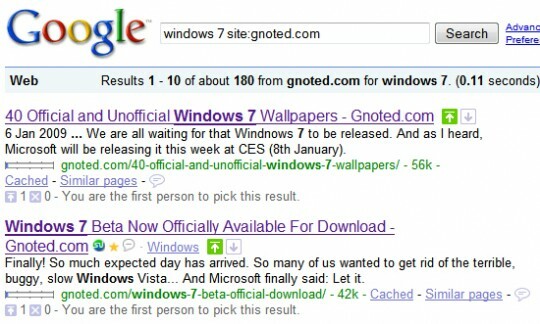 For example, the following search will search the keyword “Windows 7″ only this blog. As I am sure you are aware, there are many files hosted on the internet besides the standard ‘html websites’. Therefore, searching for a specific type of file could make your search a lot easier. 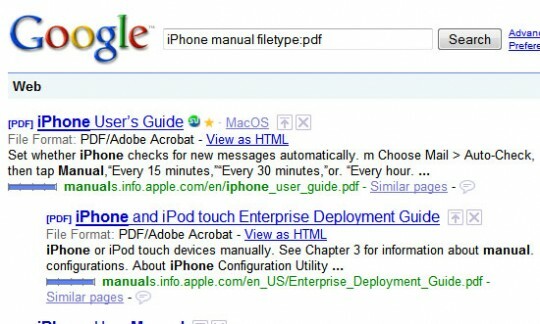 For example, if you were looking for a PDF version of the iPhone manual, you could use the following search, which would produce more accurate (and less) results. Here the “filetype:” tool is making Google search the web for PDF files only, therefore eliminating any pages that we didn’t want to see. These are just 5 useful functions that Google can perform, there are many more for you to discover, and they can all be mixed and matched! If you know some more functions post them in comments and share with others. I hope this helped you to find that ever-elusive page or snippet of info. Have fun, and happy searching!